The world’s oceans remain less explored that the moon, due to their vastness but also due to their inaccessibility especially in the Polar Regions. To collect rare time series data, oceanographers use moorings to deploy instruments in the water column, creating multiyear records of features such as temperature, salinity and current velocity. 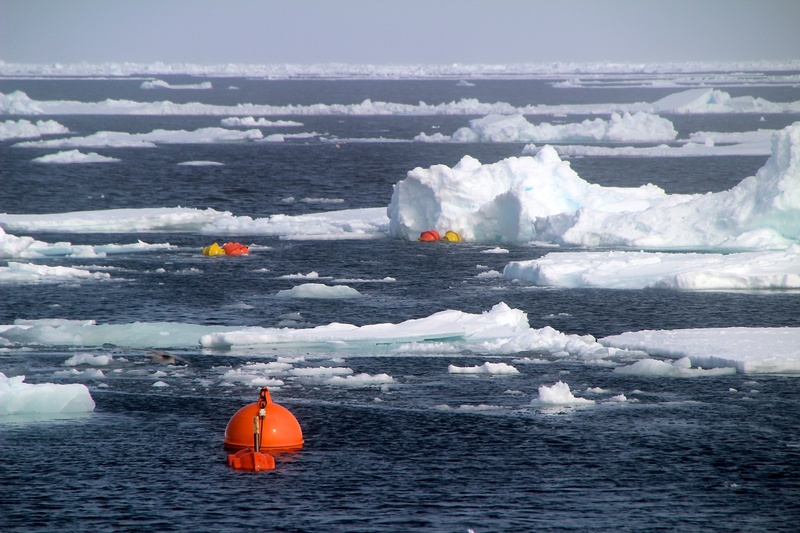 This picture shows the recovery of a mooring in the Fram Strait (between Greenland and Svalbard) during an expedition with the research vessel Polarstern.